All school clothing, (tops, winter wear, jackets) must be purchased from the Somerset Academy Village – Official Uniform vendor. 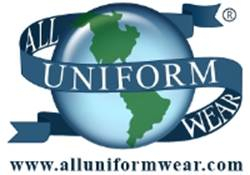 The Official Uniform vendor is All Uniform Wear. The uniform policy at Somerset Academy Village states that every student must be dressed in the proper school uniform each school day. Uniforms are mandatory and will be strictly enforced at our school to ensure student safety. It is important that the uniform is clean, in good condition, and has the correct embroidery on it. Cover-ups (jackets, sweaters, sweatshirts, etc.) must be uniform solid-colored. Belts are also required for all students. Uniform shirts are tucked into the bottoms and that the waist band of the bottoms is not worn any lower than the child’s waist line. Shirts must be tucked in at all times while students are on campus including during dismissal and in the carpool lane. Socks must also be worn. Parents will be notified to bring their child a change of clothing immediately if this policy is not upheld. If repeated infractions of the Uniform Policy occur, consequences for the student will ensue, including a formal conference with parents and possible dismissal from the school. P.E. Shirts and Spirit Shirts are available to be purchased only at the school and must be preordered. Order forms will be sent home the first week of school. Spirit shirts are required to be worn on fieldtrips by students and staff. Until P.E. Shirts come in, students should wear a plain gray t-shirt for Physical Education. Uniform bottoms and PE shorts must be purchased at the uniform store. P.E. shorts must be embroided. P.E. and Spirit Shirts do not need to be tucked in. Cold Weather Days: School issued sweater with school logo. No jeans allowed. Belts: Plain/solid belts must be worn with all bottoms that have belt loops. All bottoms must be worn at the waist (not below). All shirts must be neatly tucked into bottoms at all times (excluding P.E. attire). Dress Down take places twice a month on scheduled days for a $2.00 fee per child. On this day, students may dress in clothing of their choice. This clothing, however, must be appropriate and adhere to the guidelines listed below. Please note that any teacher or administrator may determine an outfit to be inappropriate at his or her discretion. If this occurs, parents will be notified immediately to bring a change of clothing and the child will wait in the office until the new clothing arrives. Students may not wear anything shorter than 3 inches above the knee. Students must wear clothes in a size that fits appropriately (not too baggy and not too tight). Undergarments may not be revealed in any outfit. This includes bra straps and boxer shorts. No lewd, inappropriate or offensive logos, words, or pictures may appear on the clothing. Boys may not wear undershirt-style tank tops. Shoes must conform to regular uniform standards listed above. Shirts may not contain any suggestive or poignant graphics or words. **Somerset is not responsible for any jewelry lost at school.